VFW Post 3904 is having a Burger Burn at the slab at 411 E. Market Street. 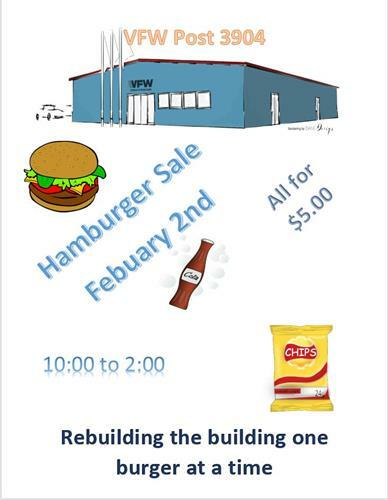 Burger, chips and a drink for $5 February 2, 2019 from 10AM - 2PM. Rebuilding the Post one burger at a time. Your $5 donation will get you a burger (with or without cheese), chips and either a soda or water.